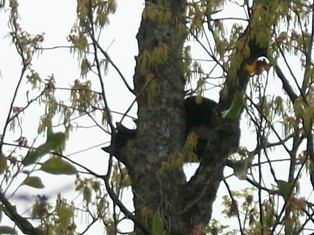 We have a cat that has been in a tree in our backyard (at least 30ft high) since Sunday and possibly since Friday. The fire dept won't help, and the police can't help. The only option that we have found is a tree service, which is very expensive. Please help us to offset the price.